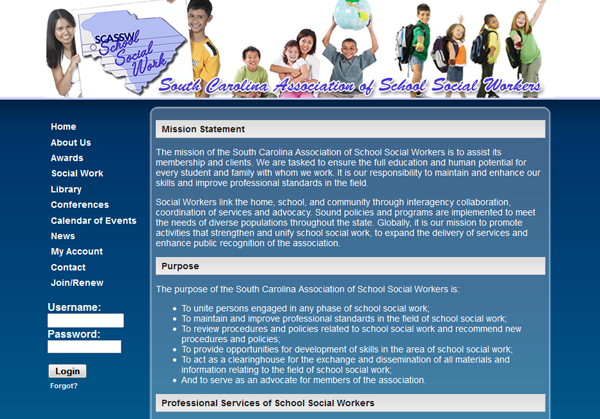 The mission of the South Carolina Association of School Social Workers is to assist its membership and clients. We are tasked to ensure the full education and human potential for every student and family with whom we work. It is our responsibility to maintain and enhance our skills and improve professional standards in the field.